Jessying - Malaysia Beauty Blog - Skin Care reviews, Make Up reviews and latest beauty news in town! 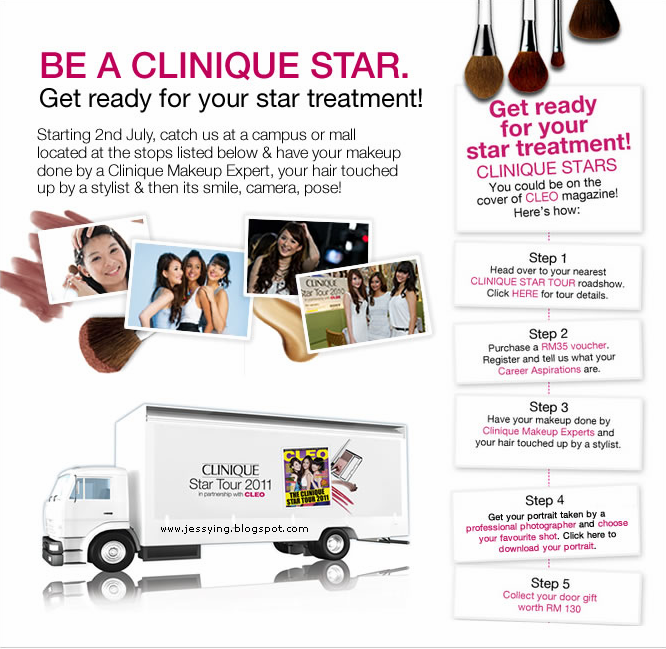 : Clinique Star Tour 2011 is back !! Clinique Star Tour 2011 is back !! 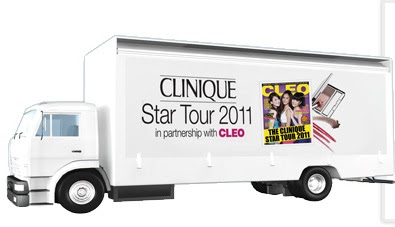 The Clinique Star Tour 2011 is back !!!! Hop on the Clinique custom built 3-tonne truck strategically designed to house comfortably 8 makeup and hair stations with a mini-studio! Star Tour 2011 will see us journeying across Klang Valley, Negeri Sembilan, Malacca, Perak and Penang, visiting 12 colleges/universities and 5 key malls. At each tour stop, the white majestic Star Tour truck will transform itself into a mobile makeover studio. A team of top Clinique skincare/makeup experts and hairstylists will be at hand to provide makeovers to get all Clinique Star Tour 2011 hopefuls camera ready. From application tips and tricks to product recommendations, The Clinique Star Tour expert team will provide every participant with top model treatment. Regardless who wins, everyone is a star at The Clinique Star Tour 2011 Mobile Makeover Studio.